Allison Riechert Giese, a lawyer in the Silicon Valley office, is a member of the employment law group. 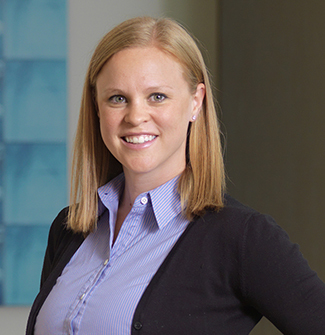 Allison practices employment litigation on a variety of issues, including discrimination, harassment and wrongful termination claims. She also has experience in wage-and-hour issues, including class and representative actions, claims for overtime compensation, meal and rest period penalties and Section 17200 unfair competition claims. Allison was a summer associate in Orrick's Silicon Valley office in 2008. Prior to joining Orrick, she interned in the San Mateo County Superior Court's legal research department. When a plaintiff files a new PAGA lawsuit in court, a filed-stamped copy of the complaint must be provided to LWDA. This requirement only applies to cases in which the initial PAGA claim notice was filed on or after July 1, 2016. The Uniformed Services Employment and Reemployment Rights Act of 1994 (“USERRA”), 38 U.S.C. §§ 4301–4335, prohibits discrimination against employees and potential employees based on their military service and imposes certain obligations on employers with respect to employees returning to work after a period of service in the U.S. military. With a large number of service members currently deployed and increased intervention against ISIS potentially enlarging these numbers, employers’ treatment of employees who are members of the military continues to remain an important issue. The Uniformed Services Employment and Reemployment Rights Act of 1994 (“USERRA”), 38 U.S.C. §§ 4301–4335, prohibits discrimination against employees and potential employees based on their military service and imposes certain obligations on employers with respect to employees returning to their civilian workplace after a period of service in the U.S. military. In a long awaited 9-0 decision, the U.S. Supreme Court held that employers are not required to compensate employees for time spent waiting for and undergoing security screenings (aka bag checks) under the Fair Labor Standards Act. It concluded that security screenings were noncompensable postliminary activities because they were not the “principal activities” the employees were employed to perform, nor were they “integral and indispensable” to those activities. The case is Integrity Staffing Solutions, Inc. v. Busk, 574 U.S. ____ (2014) and a copy of the opinion can be found here. A California appellate court recently held that employers are always required to reimburse employees for mandatory use of their personal cell phones, even if they do not incur any additional expense for doing so. The case is Cochran v. Schwan’s Home Services Inc., Court of Appeal of the State of California, Second Appellate District, Divisions Two, Case No. B247160 (August 12, 2014). A copy of the opinion can be found here.